Our main focus is development and the production of the machines for the sheet metal industry, from transformer core cutting lines, slitting lines, to winding machines for transformer industry,… production and supply for a leading European Punching line manufacturer with preassembled machine for 3D-Punching Lines for Truck Chassis Manufacturing. Engineering is done “in the house” based on strong knowhow in R&D and machinery design by a group of skilled mechanical engineers, while our Automation Department is responsible for electrical and software designing, testing and commissioning of complete lines. Innovation and customer satisfaction have been keywords at Assema. 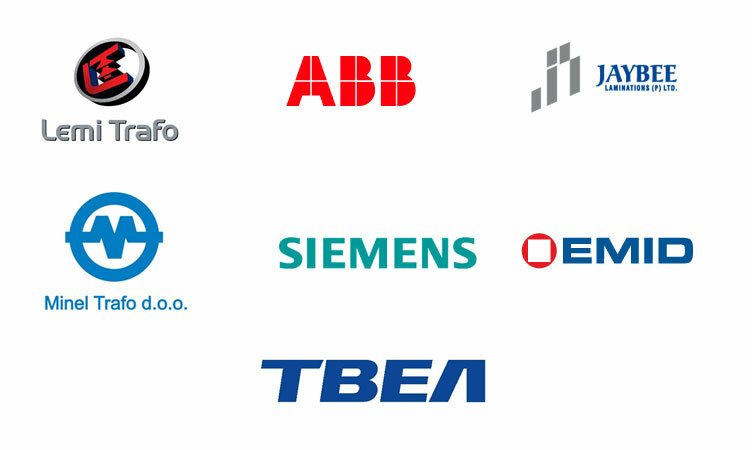 Some of our customers are: Siemens, ABB, TBEA and other the most famous companies all around the world in this field.